His speech contained proposals which, when put into action, were to produce seismic changes of literally Church-shattering proportions, causing the bastions of Tradition to collapse. Yet, Pius XII did not seem to realize that the ground was already shifting beneath him or that the tremors beneath the ecclesiastical crust would soon lead to the “big one” (Vatican II) whose epicenter was in Rome. Regardless of whether it was foreseen or not by Pius XII, a preoccupation with other religions and “psycho-social” ideas in the liturgy was bound to give rise not only to religious pluralism, but also to the secularization of Catholic Faith and Morals. By giving the green light to ecumenism, (2) inculturation, the acceptance of social and political factors as well as experimentation with depth psychology in the liturgy, Pius XII initiated a tectonic shift in liturgical practice. It was a move away from the idea of liturgy as the expression of the objective truths of the Faith in favor of a new world-view that appeals to the subjective dimensions of the human mind. In other words, the traditional theology based on Revelation was beginning to give way to a “liturgical theology” based on existential models of the human person as a valid criterion for orthopraxis. From there it was just a short step to liturgy as the Cult of Man and the de-Catholicizing of the Church via the sanctuary. As subsequent history has shown, a liturgy shaped and influenced by the demands of extraneous religions (as would happen with the Novus Ordo Mass) would lose its Catholic identity as the expression of the one true Faith. 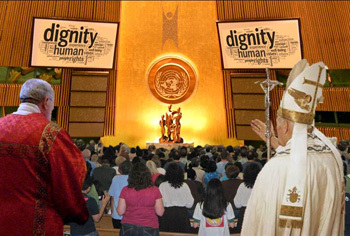 And a liturgy in which feelings, emotions and a non-judgmental attitude to morality are emphasized would lead to the “opening to the world” (as Vatican II’s Gaudium et Spes later demanded), setting the stage for the moral dissolution of society. 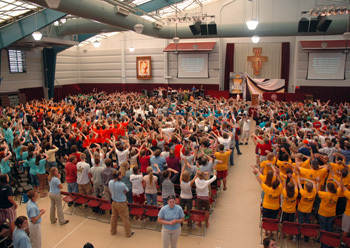 What has depth psychology to do with the Catholic liturgy? Depth psychology, which purported to be a therapeutic means of dealing with problems of the human mind, originated with the psychoanalytic theories of Sigmund Freud and Carl Jung – the former a Jewish atheist, the latter a founder of an esoteric and deeply anti-Christian religious cult. By the mid 1950s, when Pius XII gave his blessing to depth psychology in his Assisi Address, a movement to blend Freudian and Jungian theories with Catholic pastoral practice was at its height among many priests and lay people in the Church. (3) One such project had fortunately failed a few years earlier with the abortive attempt of the Dominican Fr. Victor White to integrate Jung’s theories with Thomistic philosophy. (4) It failed because he tried to amalgamate two contradictory positions. It is worth considering that the practical application of depth psychology to the liturgy was logically doomed from the start because these modern psychological theories offered rival alternatives to the Christian-based psychology that had existed from the time of the Scriptures, the Desert Fathers, the Doctors of the Church, the Saints and the Scholastic Philosophers. Needless to say, there would be no place for the traditional Roman Mass with its emphasis on rubrics and objective truth. How anyone could hope to draw spiritually pure waters from such a polluted well is a mystery. We will now consider some of the results of reliance on the “expertise” of psychologists in the Liturgical Movement’s quest to adapt the liturgy to the mentality of modern man and provide a sense of psychological well-being for the participants. The first casualty of the “psychologization” of the liturgy is reverence for God. As depth psychology – even in the hands of Catholic practitioners – induces people to turn in upon themselves and seek “self-discovery,” it follows that only a people-centered liturgy would be considered a suitable medium of worship. Hence the virtual absence in the modern liturgy of exterior signs of reverence in the presence of God, such as kneeling, genuflexion, silence, modesty of dress and behavior etc. The Assisi Address can be regarded as an invitation and incentive to import worldly elements into the liturgy. But wherever humanistic psychology replaces spiritual discernment (the “psychology of the saints”), the result has been disastrous for religious vocations and has produced a situation from which the Church has still not recovered. It brought havoc to Catholic Religious Orders in the U.S. in the 1960s because it encouraged individual autonomy and promoted the questioning of all authority, thereby challenging institutional hierarchies and their power to command obedience in matters of Faith and Morals. Every Religious Order and seminary that had been “psychologically engineered” underwent a mass exodus of nuns and priests seeking “liberation” from their vows. They dug deep into their own psyches and emerged from their introspection with predictable conclusions: They no longer wanted to be bound by “rules” that prevented them from unleashing their libido. Liturgists have been exploiting depth psychology in the liturgy for decades on a massive scale. Through psychology they thought they could re-program individuals by influencing their subconscious minds, coercing them by stealth into accepting what they wanted them to accept, change the Church and control the future of the liturgy. To add insult to injury, those who refused to be thus coerced and adhered to the traditional liturgy were psychoanalyzed as suffering from a new form of mental disorder. With his recommendation for depth psychology, Pius XII shifted the tectonic plates of the Church’s liturgical tradition. It may seem to some people a fairly inconsequential action, but as with tectonic shifts in the geological order, it takes only a move of a few feet to flatten whole cities. Card. Avery Dulles praised the superiority of “all that has been learned from depth psychology about the unconscious, from sociology about ideologies ... from comparative religion about the faiths of other people, and from linguistic analysis about the hazards of metaphysical discourse.” See A. Dulles, Preface to A History of Apologetics, London, Hutchinson, 1971, p. xviii. It was Dom Lambert Beauduin who first gave the Liturgical Movement an ecumenical goal. He founded the Monastery of Chevetogne in 1925 for unity with the “Orthodox” Churches and proposed a theory for the Anglican Church to be “united but not absorbed” in the Catholic Church. It was Card. Mercier of Malines, Belgium, a professor of philosophy at the University of Louvain at the end of the 19th century, who first proposed a synthesis between humanistic psychology and Thomistic Philosophy. He strongly promoted humanistic psychology as an independent “science” and worked to have it accepted in the programs of Catholic institutes of higher education. Fr. 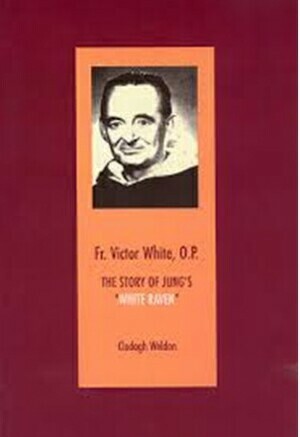 White was a close associate of Carl Jung, and together they planned to integrate Jung’s psychoanalytic theories into Catholic doctrine and pastoral practice. The failure of his project did nothing to dampen the enthusiasm of Catholic devotees of Jung’s theories and resulted in a flood of Jungian “New Age” spirituality at every level. This can be seen in the popularity of the Enneagram, yoga, transcendental meditation, wicca, spiritualism, druidism, encounter groups, sensitivity training, etc. 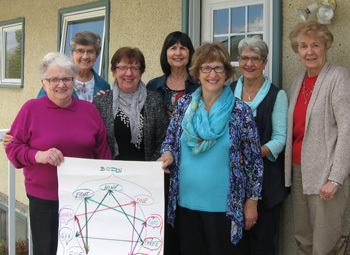 Two psychologists, Carl Rogers and his associate, William Coulson, a Catholic who would later repent of his part in the affair, set up a group therapy program in the 1960s for the nuns of the Immaculate Heart of Mary and their educational establishments. 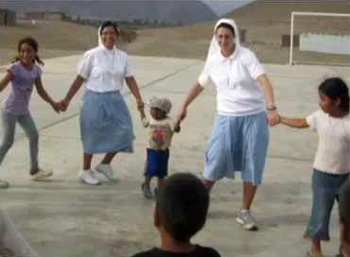 Coulson admitted that he had provoked a crisis of sexual misconduct among the IHM sisters which destroyed their Order. See William Coulson, ‘We overcame their traditions, we overcame their faith,’ Interview in The Latin Mass: Chronicles of a Catholic Reform, January-February 1994.